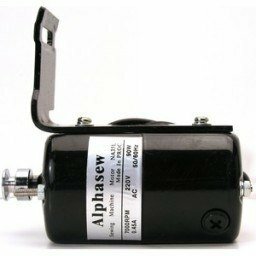 Alphasew Heavy Duty, High Speed Motor. Universal, with "L" Bracket. 110V, 150W, 1.5 Amp, 9000 RPM. Rotates Counter Clock Wise when viewed from the pulley end.